We usually perceive dogs to be happy creatures. We often see them running and jumping around, and playing with whoever they feel comfortable with. Whenever we feel sad and alone, we can turn to them for comfort and they will show their affection in return. But, did you know that dogs can experience stress too? Dogs can also feel different kinds of emotions, so as a pet owner, you need to know when your dog is feeling stressed so that you can do something to make your dog feel better. There are signs that you need to look out for in your dog. When you see him constantly doing any of these, your dog may be stressed. Dogs like licking things, but this particular stress signal in itself is very different. You cn tell that your dog is stressed if you see him exhibit this signal accompanied by other stress signals included in this list. This particular sign is also usually in conjunction with other stress signals. 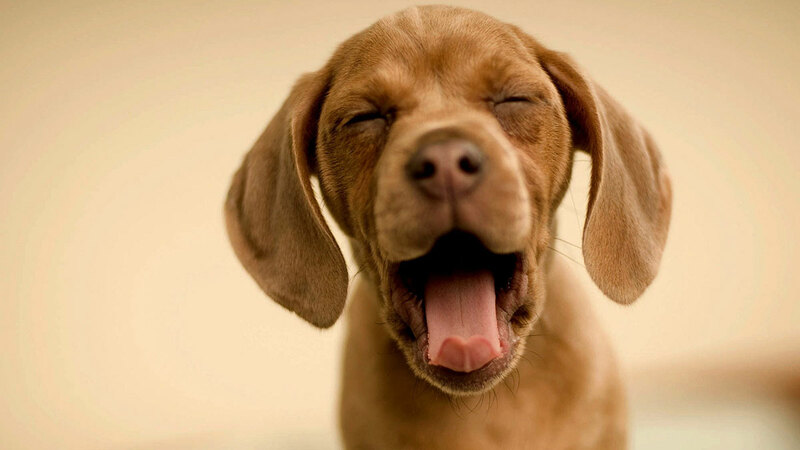 Most of the time, stress yawning is accompanied by pinned ears and avoidance. It also has more intensity compared to a regular sleepy or tired yawn. Dogs usually pant when they feel hot or when they just finished a physical activity because it is their way of cooling themselves down. But, if you see your dog panting for no apparent reason, then all of a sudden it stops and closes its mouth, that is a warning for you to back off just a little bit. It can be an indication that your dog is on the brink of biting you due to stress. If you see your pet with his ears pinned back and low, it can be his way of telling you that he is in a stressful situation. Aside from the pinned back ears, stressed dogs also look tensed and often show discomfort. If your dog turns away from you, avoids eye contact, tucks his tail, and sniffs excessively, he might not like the situation that he is in. It is also his polite way of telling you that you need to step back and give him space because if you don’t, he might become aggressive. Dogs shake off when they just had a bath or when they just woke up from a nap. If you see your dog shaking off all of a sudden, with no reason, it can be a sign that he is shaking off an uncomfortable situation that he had just been in. For instance, if your dog does not like visiting his vet, you might see him shaking off once you step out of the clinic. If your dog is of an aggressive breed, there is a chance that he deals with stress by exhibiting destructive behavior. He might chew or bite things that he usually ignores. When that happens, it is important that you determine what is causing them stress to prevent the situation from escalating . Your dog can get sick if he is constantly exposed to a stressful environment. He can either start vomiting, lose his appetite, have diarrhea, or show some skin problems. If you notice your dog showing any signs of illness, it can be an indication that your dog may be stressed. It is important to know the telltale signs of dogs when they are stressed, but it should not stop there. You also need to act quickly. The first thing that you should do is to remove your dog from the stressful situation that he is in. It can prevent potential problems and it is imperative that you do not allow the situation to happen again. Learn to distinguish the stress signals so that you can find ways to help your dog cope with anxiety. Once in a while, also bring your dog to a spa such as Dogtopia, where he can relax and get pampered without causing him any discomfort. In Dogtopia, they are focused on alleviating anxiety that your dog may be experiencing so it is a great way to de-stress your dog and take him back to his happy and playful self.